The future is now. New air taxi for rideshare programs is unveiled at 2019 Consumer Electronics Show. We are truly in The Jetsons age. Aircraft manufacturer, Bell, brought its A-game to this year's Consumer Electronics Show (CES) and is blowing people's minds. 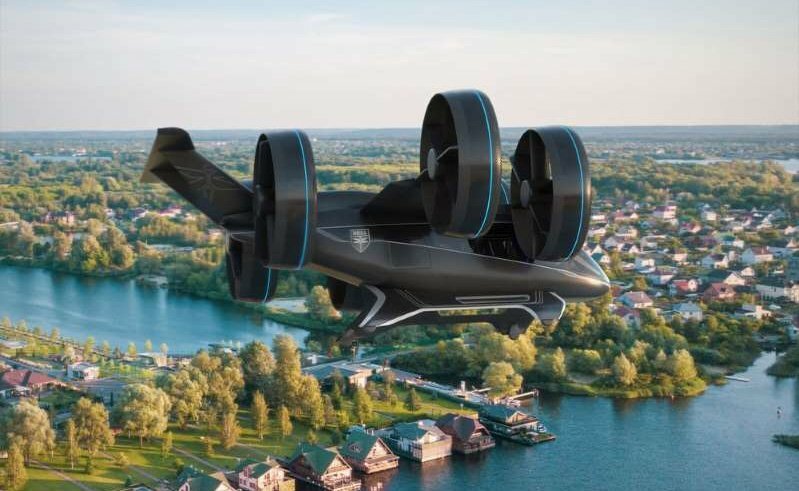 Bell unveiled its Bell Nexus air taxi, a vertical-takeoff-and-landing craft that is designed to shuttle people from place to place with airborne ease. Last year, the company let CES goers see the cabin design, but it brought the whole enchilada to this show in a full-scale, fully functioning exhibit. Check it out for yourself! "As space at the ground level becomes limited, we must solve transportation challenges in the vertical dimension – and that’s where Bell’s on-demand mobility vision takes hold. The industry has anticipated the reveal of our air taxi for some time, so Bell is very proud of this moment. We believe the design, taken with our strategic approach to build this infrastructure, will lead to the successful deployment of the Bell Nexus to the world," said Mitch Snyder, president and CEO of Bell, in a statement. The air taxi uses six tilting fans to manage takeoff and can potentially transport up to four people. It also offers passengers amenities like conference calling, news broadcasting, document sharing support, and more. While all this is super cool, how does it affect you? In the very near future, you will no longer have to wonder just how many bottles of cologne your Uber driver bathed in. Uber and its partners have picked up this technology and will be rolling out demonstrator flights in 2020. They plan to have aerial ridesharing for short, local trips available commercially in 2023. No word yet on the cost of the service or the regulations or infrastructure this type of transportation will require. So rejoice! Instead of being stuck in traffic, now you can be in an aerial taxi jam above it all but with a comfy seat and a nicer view. What do you think about air taxis? Would you want to be one of the first to try it out? Share your thoughts with us in the comments below.